It’s well known that Artsakh (a.k.a. Nagorno-Karabakh) is a magical place. From the heaven reaching mountains to the unexplored caverns that hold secrets to human evolution and countless archaeological sights, Artsakh is unique in many ways. But not many have probably heard of the little star-shaped stones that, according to a local legend, are raining from the skies in the mountains of the Astkhashen village in Artsakh. Of course to most people raining ‘star-stones’ sounds improbable. So you might ask what are they really and where did they come from? It seems like there is quite a bit of speculation on the internet and social media about these stones. Some describe them as “naturally formed rock-stars” others claim the stars magically appear after a heavy rainfall or that the rocks themselves shape into little stars after rainfall. I think it’s probable to assume though that the effects of a heavy rainfall has more to do with the abundance of these artifacts and their visibility after the dirt has been washed off from the rocks by the rainwater. Perhaps some even fall off the side of a cliff on the paved roadways bellow, creating the illusion of raining star-rocks. These little stars might certainly be magical but the real explanation is even more intriguing. That’s because these little stars are actually ancient fossils of an extinct species of ‘sea lilies’ (crinoids) known as Pentacrinites that lived deep underwater during the lower Jurassic some 200 to 150 million years ago. 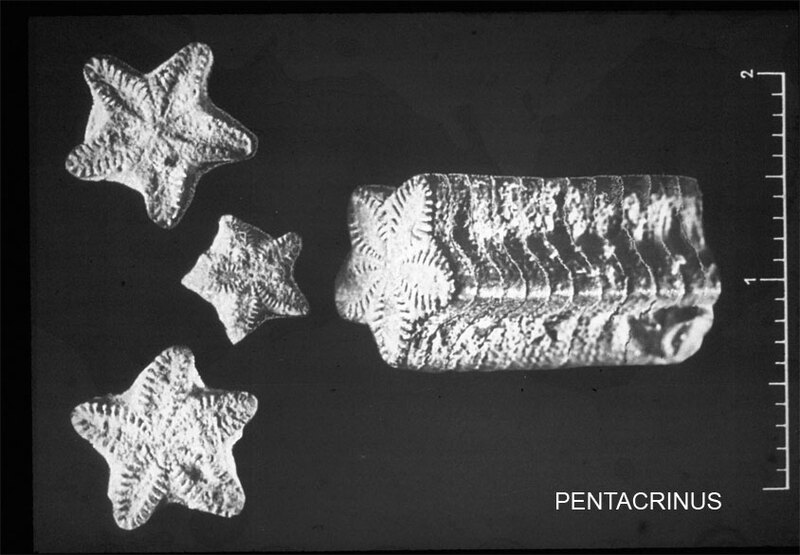 Despite their nickname; ‘water lilies’, Pentacrinites were marine animals not plants. They were composed of numerous calcite plates which were arranged into different body parts; arms, cup and stem. The stem consisted of a stack of numerous star-shaped beads (or columnal plates) with a canal at their centre. That’s the part that is usually preserved and fossilized. So that’s what these ‘stars’ really are. However, as most people probably know, Artsakh is a very mountainous region. Its Soviet era toponym ‘Nagorno-Karabakh’ even holds the Russian word ‘nagorno’ meaning ‘mountainous’. Astkhashen village where these fossils are found is about 1000 meters (over 3000 feet) above sea level. So you might rightfully wonder, what are fossils of ancient sea creatures doing on top of the mountains in the Southern Caucasus? Without speculating about the credibility of the Biblical flood myth, let us look at the world map from the period of the early Jurassic during which these creatures thrived in the oceans across the world. As we can see on the map bellow, the world looked quite a bit different than it does now, and most parts of Armenia including Artsakh (marked with a red arrow) were underwater. 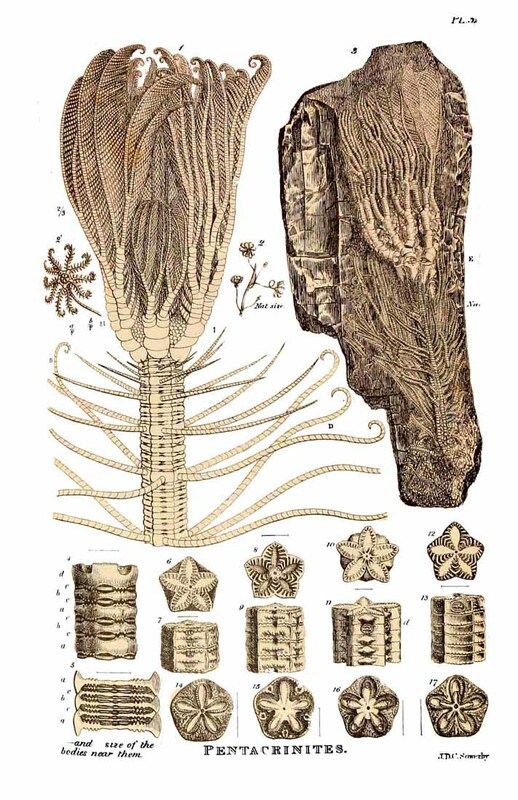 So at the time the village of Astkhashen must have been submerged beneath the ocean hence why there are fossils found of marine animals such as Pentacrinites. Interestingly in English folklore such specimens are known as ‘star stones’. The great 17th century Oxford naturalist Robert Plot believed they were in some peculiar way related to the heavenly stars. So these ‘star-stones’ might not have actually fallen from heavens, but rather delivered by an ancient ocean. The mystery is solved but the magic is certainly not lost. It only goes to show how a little fossilized artifact shaped like a perfect star can take us back in history hundreds of millions of years ago, when life on earth was very different. By touching these creatures we are touching the history of evolution and the creation of life itself. Artsakh has many wonders to show humanity, if only humanity could return its kindness with peace. Thank for usually wonderful post. I dream about this places! 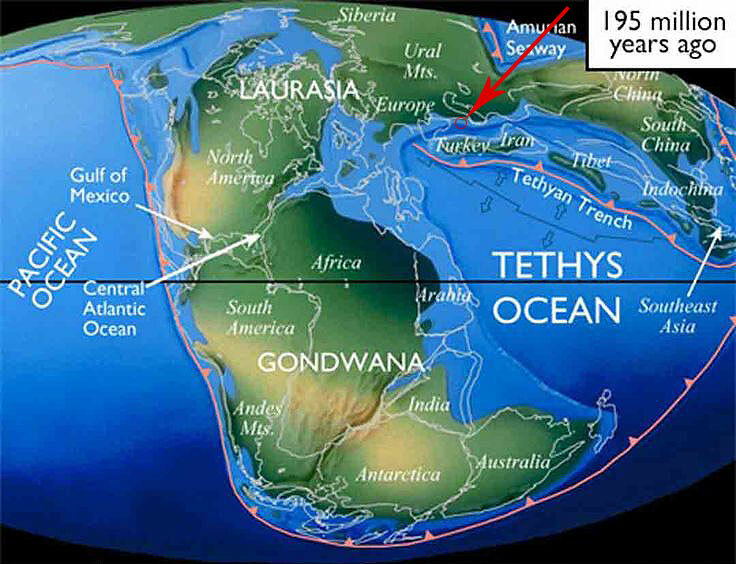 Looking at the map of the gondwana from above, we would probably have seen a giant triskel. I would really like to see Armenia as soon as possible, I hope during my honeymoon.